A tray of guavalitos before baking. The breakfast treats are locally-made in Miami-Dade County and have just 100 calories. 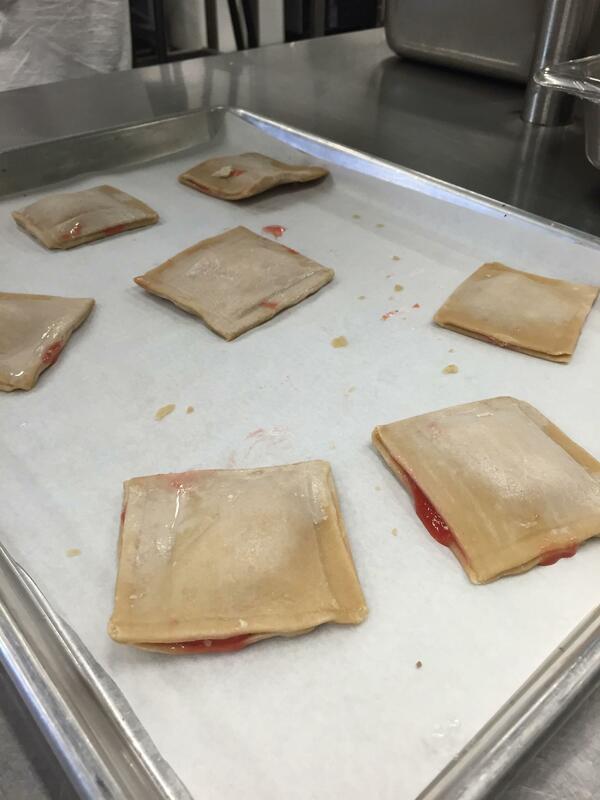 Some of the new choices on Miami-Dade school menus this year: Spinach lasagna, Greek yogurt and the guavalito. 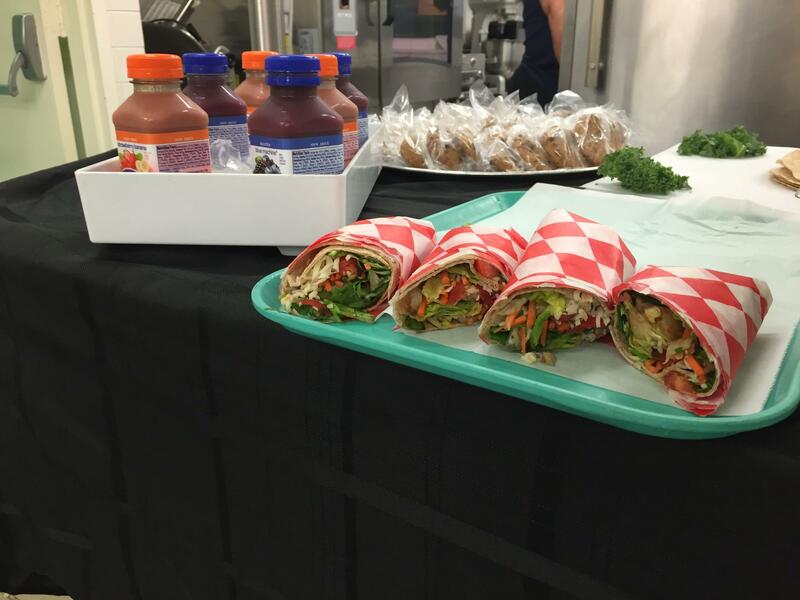 Miami-Dade schools are adding veggie wraps to the menu, and students can also grab Naked juice. That means more students qualify for -- and depend on -- free meals provided by school districts. And meal service is now a year-round job instead of just when school is in session. Ever planned Thanksgiving for a dozen relatives? Now imagine planning 200,000 lunches daily. 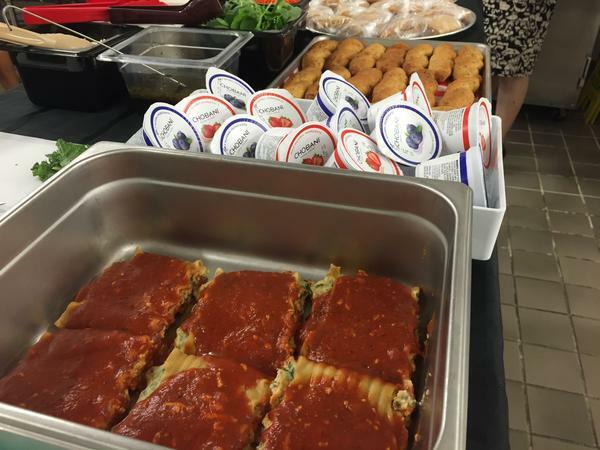 In Miami-Dade County schools, those meals starts in the district's test kitchen, where Donna Drummond demonstrates how she makes spinach lasagna, a new addition to menus this year. She ladles sauce into a pan. Then she places the frozen lasagna rolls -- made with whole grain pasta and mozzarella cheese -- into the pan. The dish is designed to be easy and quick to make for hundreds of students. It comes with a salad and a breadstick spiked with low-fat mozzarella cheese. A new breakfast choice is the guavalito, a lower-sugar version of Miami’s ubiquitous guava-and-cheese pastry. It’s just 100 calories. These new choices are part of a menu this year featuring more vegetarian options. The district was adding fruit and vegetables years before the federal government said it had to. It’s been seven years since Miami-Dade schools has served a hot dog. Every item is screened for ingredients -- no high-fructose corn syrup, MSG or added trans fat -- and then given a test run in the district kitchen. District food director Penny Parham is in charge of what kids eat at school. 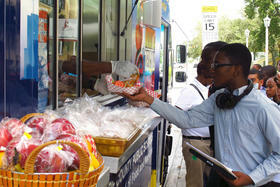 Miami-Dade schools serve 200,000 lunches and 90,000 breakfasts everyday. More students also depend on schools for meals than ever before. Fifty-nine percent of Florida students qualify for free or reduced-price school meals. In some schools, nearly every student qualifies. Even during summer break, schools are serving meals. Most big districts around the country now keep kitchens open, and even deliver meals to camps. The Florida Department of Agriculture even has a website to find the closest place serving summer meals. Farm-to-table has been a restaurant trend for years, but schools are also trying to serve locally grown produce. When Florida crops have bumper years, that means bargains for the district. Parham said students will eat vegetables if you serve them right. Instead of steaming them, maybe shred them, so students can add them to a sandwich. Parham said the district gives preference to local farmers. Paul Allen’s Pahokee farm provides those corn cobs and green beans for schools in Miami-Dade and Palm Beach counties. He also grows cabbage, sugar cane and feed corn for cattle. Allen said healthier meals are good for business. Schools make up about 5 percent of his total sales. But because they’re serving meals year-round, he’s been able to add permanent jobs growing and packing crops. “Most of the time the kids are eating the product within three to four days from harvest," Allen said. 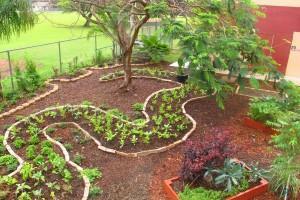 Allen also brings corn and bean plants to schools to teach kids how food is grown and harvested. That’s just one way schools have helped kids have a personal stake in what they eat. Adults do a lot of thinking and planning for school food, but Miami-Dade menu supervisor Susan Rothstein said students have their own tastes. She trusts cafeteria managers to know what their students want to eat. “Most of them know their kids," she said. "So if you have a school where the managers says, ‘Oh no, my kids will love it.’ We’re like, ‘Alright, you can try it.’ "